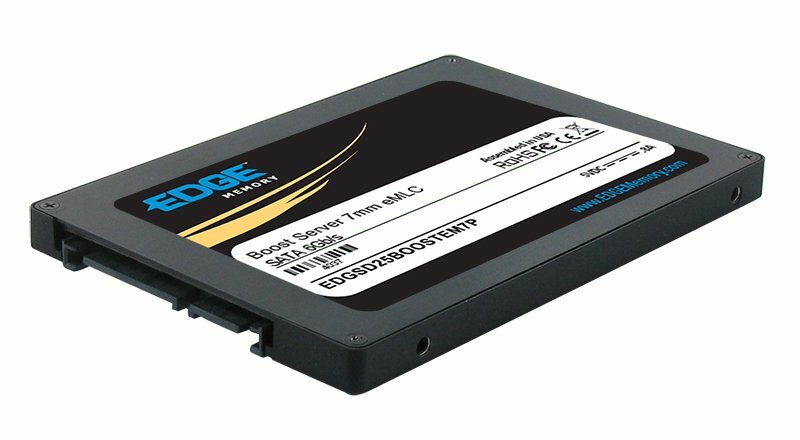 EDGE Boost Server 7mm eMLC SSDs are TAA compliant, built with premium SandForce controllers, and backed by a five-year warranty. Offering exceptional performance and reliability, the EDGE™ Boost Server 7mm eMLC Solid State Drive (SSD) is a premium storage upgrade solution for servers and datacenters. Designed as a direct replacement for traditional Hard Disk Drives (HDDs), Boost Server SSDs are faster, lighter, quieter, and more reliable storage devices. Ideal for a wide range of applications, the thin 7mm height allows for installation into many popular servers, as well as desktops and notebooks. 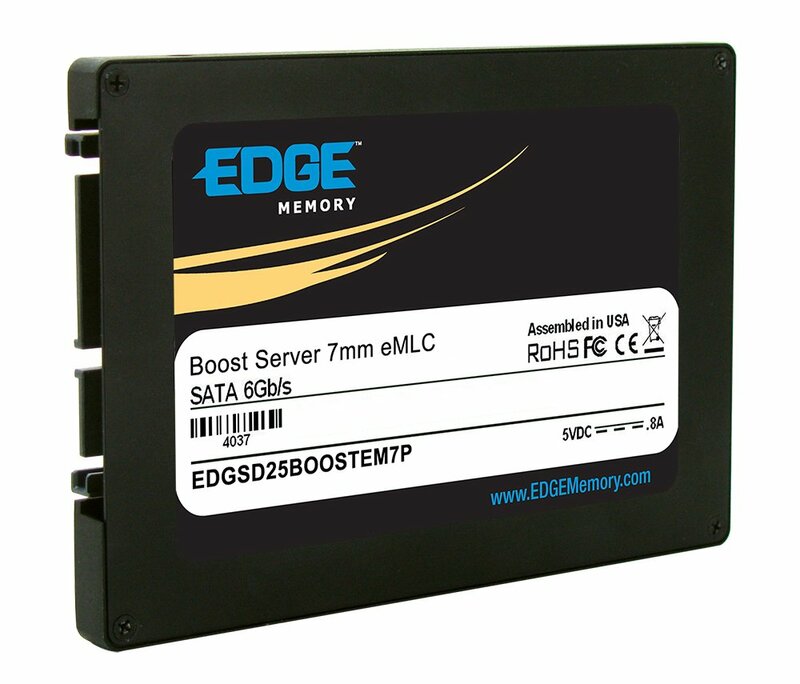 Manufactured with high-endurance eMLC flash, the Boost Server 7mm eMLC SSD has up to 10x greater endurance than regular MLC flash. An enterprise level SandForce controller provides the Boost Server SSD with data enhancements as well as ultra-fast read/write and IOPS speeds. Performance gains in data access, backup, and recovery are immediately realized upon installation. Boost Server SSDs consume less power per transaction than hard drives, lowering energy costs and increasing overall efficiency. Power Fail support protects against data loss in the event of system power failure - an essential function for servers and mission critical applications. SSDs without Power Fail protection are prone to corruption or drive failure if a system suddenly loses power. Dependable – Built with eMLC flash with up to 10x greater endurance than standard MLC. Power Fail support protects against data loss in the event of system power failure, preventing data corruption or complete drive failure. An enterprise level controller provides drive enhancements.